Calcium Is Essential For Human Health And A Key Component Of Bone. Calcium Deficiency And Loss Makes The Major Cause Of Osteoporosis, Which Leads To Inclination To Fracture. Though It Frequently Occurs Among Postmenopausal Women, Men Are Also Vulnerable To Calcium Deficiency Due To Reduced Intake And Physical Inactiveness. 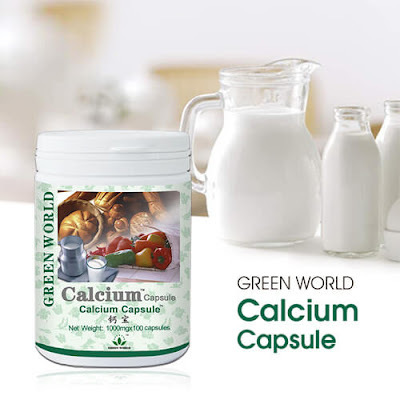 Adopting Nanotechnology, Calcium Carbonate In Green World Calcium Capsule Is Characterized By Superfine Molecules And High Absorbability. For All Age Group, Especially Adolescence, Postmenopausal Women And The Elderly Who Need Higher Calcium Intake. 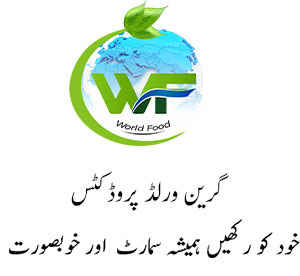 It Is Safe For Pregnant Women And Nursing Mothers. Each Capsule Provides 225mg Elementary Calcium, 1-2 Capsules Each Time, Once In A Day. Calcium Plays A Very Important Role In Maintaining The Normal Physiological Function. It Is The Most Abundant Mineral In The Body, It Is Found In Some Foods, Added To Others, Available As A Dietary Supplement, And Present In Some Medicines (Such As Antacids). Calcium Is Required For Vascular Contraction And Vasodilation, Muscle Function, Nerve Transmission, Intracellular Signalling And Hormonal Secretion, Though Less Than 1% Of Total Body Calcium Is Needed To Support These Critical Metabolic Functions. Serum Calcium Is Very Tightly Regulated And Does Not Fluctuate With Changes In Dietary Intakes; The Body Uses Bone Tissues As A Reservoir For, And Source Of Calcium, To Maintain Constant Concentrations Of Calcium In Blood, Muscle, And Intercellular Fluids. The Remaining 99% Of The Body’s Calcium Supply Is Stored In The Bones And Teeth Where It Supports Their Structure And Function. Bone Itself Undergoes Continuous Remodelling, With Constant Resorption And Deposition Of Calcium Into New Bone. The Balance Between Bone Resorption And Deposition Changes With Age. Bone Formation Exceeds Resorption In Periods Of Growth In Children And Adolescents, Whereas In Early And Middle Aduithood Booth Processes Are Relatively Equal. In Aging Adults, Particularly Among Postmenopausal Women, Bone Breakdown Exceeds Formation, Resulting In Bone Loss That Increases The Risk Of Osteoporosis Over Time. Recommended Dietary Allowance (Rda) Is Designated As Average Daily Level Of Intake Sufficient To Meet The Nutrient Requirements Of Nearly All (97%-98%) Healthy Individuals. They Are Listed In The Following Table In Milligrams (Mg) Per Day.